Tourism’s central role in creating new jobs across Britain has been underlined in a report just released by Deloitte – ‘Tourism: jobs and growth’ – commissioned by VisitBritain. Since 2010 tourism has been one of the fastest growing sectors in the UK in employment terms, responsible for one-third of the net increase in UK jobs between 2010 and 2012. Recent employment growth in the sector has been ‘stellar’ over this period says the report – more than four times the rate of manufacturing. The report forecasts that the tourism economy will be worth around £127 billion this year (2013), equivalent to 9% of the UK’s GDP. It supports over 3 million jobs, that’s 9.6% of all jobs and 173,000 more than in 2010. The sector is predicted to grow at an annual rate of 3.8% through to 2025 – significantly faster than the overall UK economy (with a predicted annual rate of 3% per annum) and much faster than sectors such as manufacturing, construction and retail. Britain will have a tourism industry worth over £257 billion by 2025 – just under 10% of UK GDP and supporting over 3.7 million jobs, which will be around 11% of the total UK employment. Those jobs would be distributed throughout the UK – for while urban areas such as London, Birmingham or Edinburgh have the highest number of jobs in tourism, the relative level of tourism-related jobs tends to be higher in our rural and coastal areas. During this period of job creation, productivity in the tourism sector is also expected to increase by 2% per annum. Deloitte has examined the relationship between the rise in tourism spending and job numbers. They have found that every £54,000 increase in spending in the sector creates a new tourism job in the UK. Tourism’s impact is amplified through the economy, so its influence is much wider than just the direct spending of tourists. Deloitte estimates the tourism GVA multiplier to be 2.2, meaning that for every £1000 generated in direct tourism GVA there is a further £1200 that is secured elsewhere in the economy through the supply chain. Inbound tourism will continue to be the fastest growing tourism sector, with spend by international visitors forecast to grow by over 6% a year. The value of inbound tourism is forecast to grow from over £21bn in 2013 to £57bn by 2025, with the UK seeing an international tourism balance of payments surplus within a decade – almost forty years since the UK last reported a surplus. If Britain were to become as successful as its European competitors in the new emerging growth markets for tourism (such as China), with further investment it could increase the value of inbound tourism by an additional £12bn by 2025 – an increase to £69bn or over 20% on the base forecast. 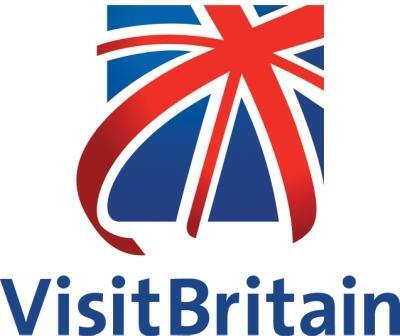 Christopher Rodrigues, VisitBritain Chairman said: “Tourism has become a bedrock of the UK economy – generating a third of the UK’s net new jobs between 2010 and 2012 – and still has the ability to grow at levels that will lead other industries out of the economic slowdown. “Deloitte’s report suggests that by 2025 Britain could have an industry worth over £257 billion (56% more than in 2013 in real terms) supporting 3.8 million jobs across the country and at all skill levels. “Inbound tourism is already one of Britain’s top export industries and will continue to be the fastest growing sector of the industry, with spend by international visitors forecast to grow by over 6% a year.